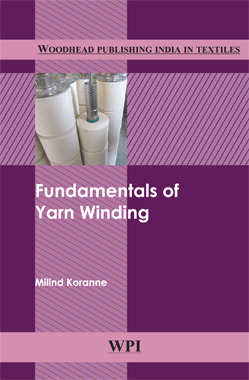 Fundamentals of Yarn Winding explains principles related to yarn winding relevant even to the latest generation of winding systems. The book discusses various parameters related to build up of winding packages, their influence on package performance and optimization according to end-user requirements. Important elements of winding machines are explained in detail, such as yarn tensioning and clearing devices, yarn splicers and various methods of package driving and yarn traversing. Basics of building winding packages are described in a simplified manner supported by numerous diagrams and photographs. Various terms associated with winding systems/packages are conceptually clarified like random winding, patterning, precision winding, gain, open wind, close wind, step precision winding, etc.